I’m starting the I CAN Revolution NOW! Listen to this video and feel free to comment and share on social media. 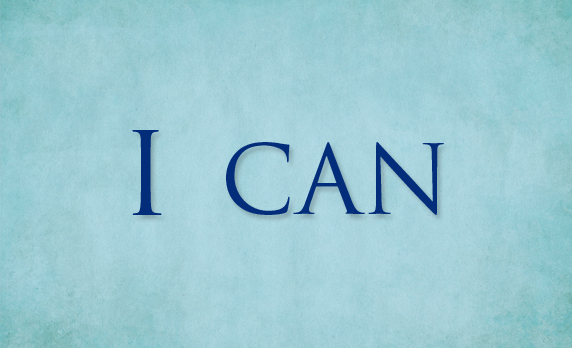 If ever there was a life-changing attitude it is simply, “I CAN!” This two-word phrase that I first learned from my mother has been a life-changer for me. If you like what I have to share in this video, please pass it along to a friend. Maybe it can change another life. I have been working with children and families in various capacities since 1993. In all of my roles, I focus on two important things. The first is to teach parents ways to work with their children that result in confident, responsible, and happy children. The second is to instill in them why and how to always be their child’s advocate. The concept of the I Can Revolution is a rallying charge for both parents and students alike. These ideas were paramount in my role as executive director of a private school for special needs children. Working with the parents of current students and prospective students, I realized the parents needed assistance in understanding how to navigate the public school system to get their children all of the support they required. Many parents also needed support in understanding whether their child’s behavior was due to their disability or their personality. Using my degrees and education in special education, elementary education, and reading specialization, combined with her experience as a special education teacher, program director, and executive director, I began working with families in the capacity of educational advocate and school success coach in July 2011.